Of all the casts of Disney characters, the most likable has to be that of Winnie the Pooh. Sure, Mickey Mouse and company may be the figureheads of Disney, but the adaptations of A.A. Milne’s characters are Disney’s most endearing and charming consistencies. And while Disney’s recent trend of turning their beloved animated films into live-action retreads has been a bit of a mixed bag (for every Jungle Book there was a Maleficent), the idea of a Winnie the Pooh addition to this sub-genre of Disney films was promising. 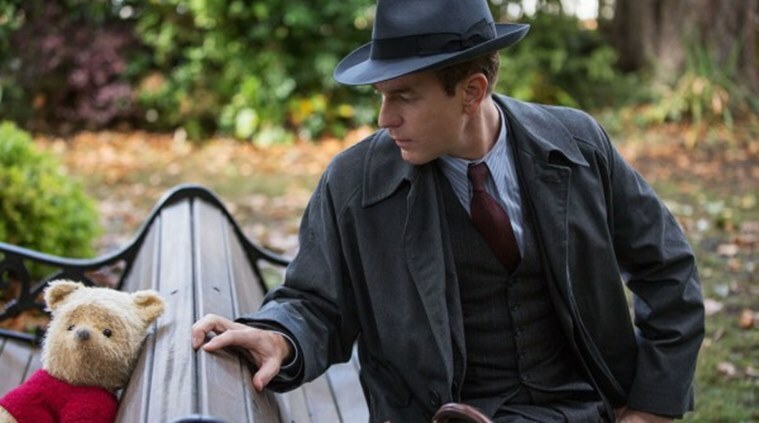 Thankfully, Christopher Robin ultimately delivers on the fun and charm one would expect from a film starring the bear of very little brain, though it does take a while to get there. Christopher Robin begins where the original Disney film ended, with a young Christopher Robin ready to leave the Hundred Acre Wood to begin school and, subsequently, grow up. Winnie the Pooh, Tigger (both voiced by Jim Cummings), Eeyore (Brad Garret), Piglet (Nick Mohammed), and the rest of the Hundred Acre Wood gang throw a going away party for Christopher Robin. And though Pooh and friends don’t forget about Christopher, as he grows older (becoming Ewan McGregor in the process), he forgets them. We get brief glimpses of Christopher’s adult life from there: Meeting and marrying a woman named Evelyn (Hayley Atwell), fighting for the British forces in World War II, and having a daughter named Madeline (Bronte Carmichael). After returning home, he finds a job as an efficiency expert at the Winslow Luggage Company, where he slowly but surely begins dedicating more and more of his time. Admittedly, this is where the film starts to teeter both into overly familiar and slow moving territory. A movie about the importance of family over work – while always a well-meaning message – is a bit formulaic, and it’s here where the film maybe slows down a little too much. However, once Winnie the Pooh and company come back into the picture to help Christopher Robin remember his more carefree days, things pick back up and start building more steam. Not to mention heaps of charm. Of course this is a movie about rediscovering childhood wonderment. Of course it’s about not being a slave to your work and the importance of, as Pooh puts it, “doing nothing.” But it works because it’s told well, acted well and, perhaps most importantly, because it’s impossible for Winnie the Pooh to ever come across as anything other than lovable. 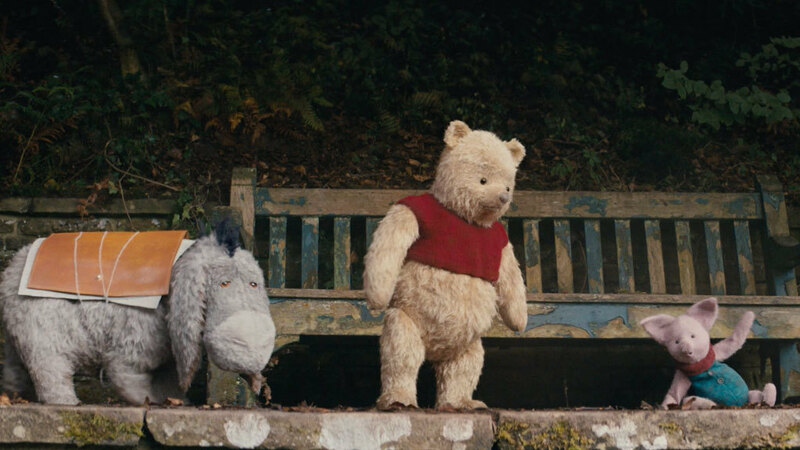 The movie is naturally at its best whenever Pooh and friends are on-screen, with their childlike simplicity and humor being all too easy to win us over with. 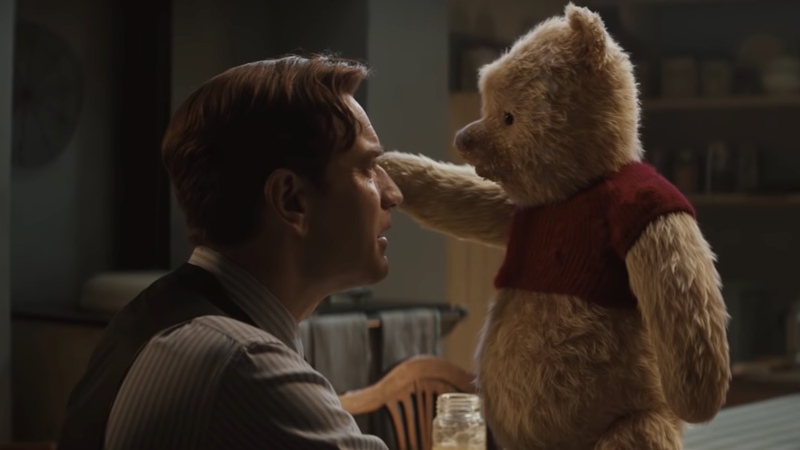 But Christopher Robin also manages to find some good footing in the live-action department due to the performance of Ewan McGregor as its titular character as well as that of Hayley Atwell. I’ve already seen some comments regarding that the film is “confusing” in regards to the relationships between the human and stuffed animal characters. Winnie the Pooh, Tigger and company are possibly created from Christopher Robin’s imagination as a child, yet other humans are able to see and hear them. And Pooh even manages to accomplish teleportation by means of entering a tree in the Hundred Acre Wood and finding London on the other side. But this is one of those movies where you really don’t need a logical explanation for things. 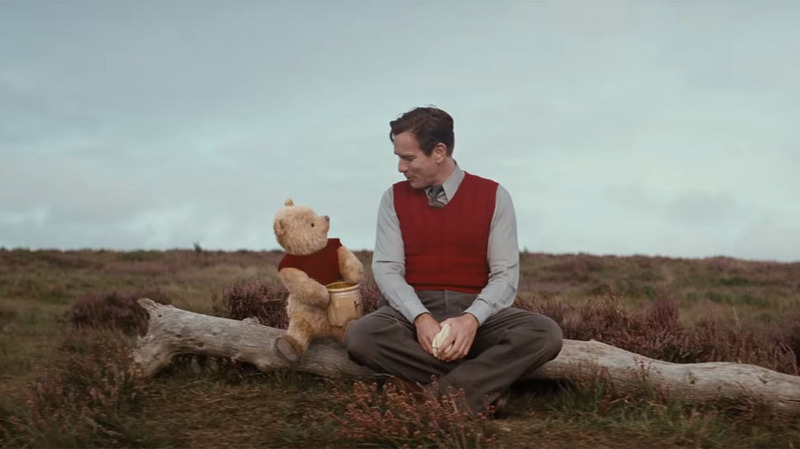 When Christopher Robin questions his sanity when Pooh comes back into his life via the aforementioned tree, he claims Pooh’s explanation of the tree “being wherever it needs to be” to be silly, to which Pooh responds with “why thank you,” which delightfully sums up the nature of the movie. It should be noted that although the film is (of course) the definition of child-friendly, I actually think it’s geared more for the adult crowd who grew up with these characters. This is, after all, a film about a grown-up Christopher Robin. It doesn’t bask in childhood like the animated Pooh movies, but rather expresses a melancholic yearning to recreate childhood. Younger kids may even get a bit antsy in the film’s slower moments, but adults may appreciated the film’s (very, very relative) more mature tone and pace. The CG used to bring Winnie the Pooh and his friends to life is, as you might expect with a Disney budget, top notch. It may not quite reach the levels of The Jungle Book in terms of realism, but the characters here don’t really require it. They mesh well with the live actors, and the character designs are adorable (especially that of Pooh himself). 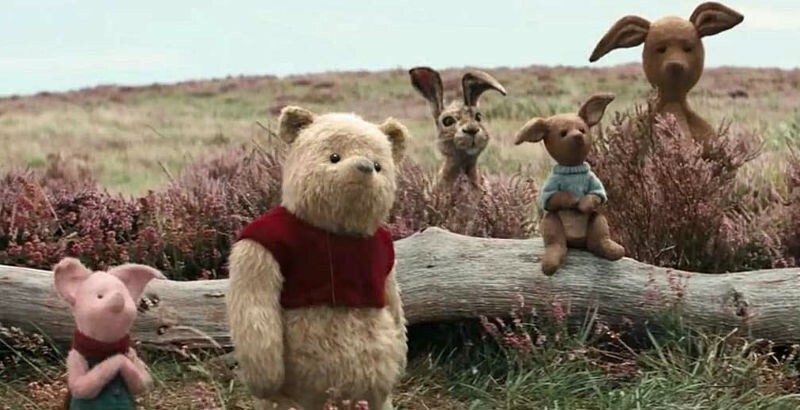 Christopher Robin is a fun movie with a lot of heart, only held down by a sloggish start and some overly formulaic material (Christopher Robin even has a snobbish hire-up at the workplace who seems far too much like a Hollywood product for a Winnie the Pooh feature). But the flaws are easy to look past for the sheer warmth that radiates from the film. Though there’s nothing innately wrong with more hectic and serious family fare, it’s rare that you get to see a film aimed at a family audience that isn’t afraid to quiet down a bit. Winnie the Pooh has always provided winning material by extolling simplicity and even passing on a good dose of wisdom (“They say nothing is impossible, but I do nothing everyday.” Explains Pooh). Christopher Robin follows suit with this tradition, and provides a film that, despite its early missteps, has a heart that continues to grow as it moves along.